Other aspects of H.R. 6, also called "Substance Use-Disorder Prevention that Promotes Opioid Recovery and Treatment for Patients and Communities Act,'' or the ''SUPPORT for Patients and Communities Act," have ramifications for OTPs as well. Read more here. Click here to read the November issue. Governor Andrew M. Cuomo this week announced more than $40 million has been awarded for 11 supportive housing projects for homeless New Yorkers. The projects will create a total of 276 supportive housing units for veterans, survivors of domestic violence and individuals with mental illness. The awards, made available through the New York State Office of Temporary and Disability Assistance's Homeless Housing and Assistance Program, will help fund supportive housing projects in Albany, Bronx, Niagara, New York, Ontario, Suffolk and Tompkins counties. Nine of these projects have already received support from the Empire State Supportive Housing Initiative. Funding awarded through the initiative can be used to provide support services and operating funds. Read more here. The Conference has begun issuing "In Case You Missed It (ICYMI)," a one-stop-shop highlighting key information released by our state partners. ICYMI provides a clear, concise recap of significant state guidance, regulations, and resources from OMH, DOH, OASAS, and OPWDD, as well as links to access documents and materials of importance. Check out our October edition here ! It's not clear why, but the researchers say their findings are startling. They are seeing the same pattern across the country. "It's really disheartening. Community resources for mental health, especially for youth, are incredibly scarce," said Dr. Anna Abrams, a pediatrician and researcher at Children's National Medical Center in Washington, D.C. "It's shocking, really." Abrams is a pediatric emergency health physician studying disparities in health care at Children's. "I started to see, in my clinical practice, increasing rates of mental health presentations," she told NBC News. She decided to see if the same thing was happening nationally. She looked at data from 45 children's hospitals across the country from 2012 to 2016. "We saw about a 55 percent increase over the entire period in mental health presentations," Abrams said. Read more here. The SAMHSA Strategic Plan FY2019-FY2023 provides a roadmap to carry out the vision and mission of SAMHSA over the next four years. Combating the Opioid Crisis through the Expansion of Prevention, Treatment, and Recovery Support Services. Addressing Serious Mental Illness and Serious Emotional Disturbances. Advancing Prevention, Treatment, and Recovery Support Services for Substance Use. Improving Data Collection, Analysis, Dissemination, and Program and Policy Evaluation. Strengthening Health Practitioner Training and Education. Read the full Strategic Plan, including measurable goals and objectives. This week, in response to the news that New York's hospitals and nursing homes are getting approximately $675 million for Medicaid rate increases to cover workforce salary and benefits, leaders from membership associations representing New York's community-based primary care, home care, and behavioral healthcare workforce are pressing not to be ignored. A group of 11 organizations called on the Cuomo Administration to deliver an immediate investment in primary care, home care, and behavioral healthcare workers who touch the lives of millions of New Yorkers every day. The group repeated a recurring request that at least 25% of health care investments be directed toward less costly community care. Twenty-five percent of $675 million (state share) would be about $169 million. Unaddressed rising job vacancies and turnover rates have resulted in a full scale access to care crisis for community-based primary care, home care, and mental health and substance use disorderservices. Read more here. On October 30, the White House Office of National Drug Control Policy (ONDCP) and the U.S. Department of Agriculture (USDA) released the Rural Resource Guide to Help Communities Address Substance Use Disorder and Opioid Misuse. This resource guide, developed by USDA and ONDCP-led Rural Federal Opioid Interagency Working Group, can be used to help build resilient communities and address opioid misuse in rural areas. NACo serves as a member of USDA's Rural Opioid Working Group, which is currently developing a series of resources to add to USDA's Community Opioid Misuse Toolbox. The toolbox will provide a full suite of resources designed to support grassroots strategies for addressing the opioid crisis at the local level. This toolbox is completely free and available to the public and can be found on USDA's Rural Opioid Misuse Webpage. Other programs currently available on the website include the Community Assessment Tool, which helps local leaders assess the causes and impact of opioid misuse in their communities. The pricing and availability of drugs - legal and illegal - illuminate how markets chase profits and reward innovation. A comparison of heroin (and other illicit opioids) with naloxone, the lifesaving antidote for opioid overdoses, offers a devastating peek into the overdose epidemic that is ravaging the United States. Let's start with the price of heroin. In the early 1980s, a gram of pure heroin cost about $2,200. Today that same amount costs less than $500, nearly an 80 percent decrease. A bag of heroin today will set you back about $5, the cost of a pumpkin spice latte. And prices continue to fall with the introduction of new and more powerful synthetic opioids, such as fentanyl. Compared to heroin, which requires lengthy cultivation of poppy plants and cumbersome processing, fentanyl and its ilk are relatively cheap to make. Read more here. The following organizations have extensive experience with the new market model. LifeWorks NW is a Portland, Oregon-based $44 million behavioral health organization. They are a designated certified community behavioral health center (CCBHC) providing integrated care. And, LifeWorks NW is paid a case rate for mental health services (what Ms. Beveridge calls, "fee-for-service on steroids") and fee-for-service for addiction treatment services. 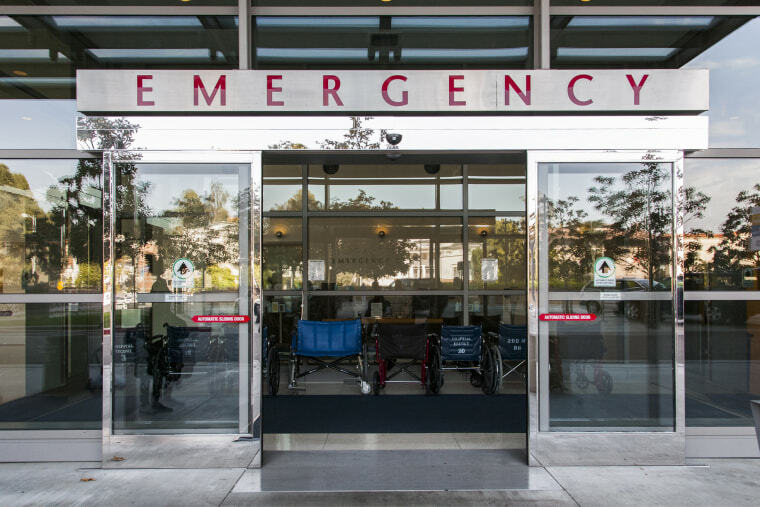 Oregon is currently in the process of gearing up for its next Medicaid managed care procurement cycle and its expected that the state will include value-based reimbursement (VBR) requirements. Mental Health Center of Denver is a $98.5 million behavioral health organization in the city of Denver, with a long track record in providing behavioral health services under a capitated financial model. It also provides supportive housing and has opened up an innovative community center at its Dahlia Campus that includes an urban farm, dental care, early childhood education, health services, and community spaces. Read more here. The issue of behavioral health - and deficiencies in effective treatment solutions - is a critical problem in the country's healthcare system. And what pretty much all stakeholders agree is that there's much needed in the way of improvement. In order to battle that stigma Tilenius, the CEO of health coaching startup Vida Health said the company has reframed mental health as chronic condition much in the vein of hypertension or diabetes, which people are more familiar with. She highlighted that one in three people will have a chronic physical condition and one in four will face a serious mental health or neurological disorder in their life. "Our system doesn't really look at it that way, there's not claim codes for therapy in every health plan," Tilenius said. "If you look at other systems around the world, there's more reimbursement and understanding about the importance of these preventative measures for lowering healthcare costs." Read more here.